AAP Daily Briefing is the official briefing of the American Academy of Pediatrics (AAP). 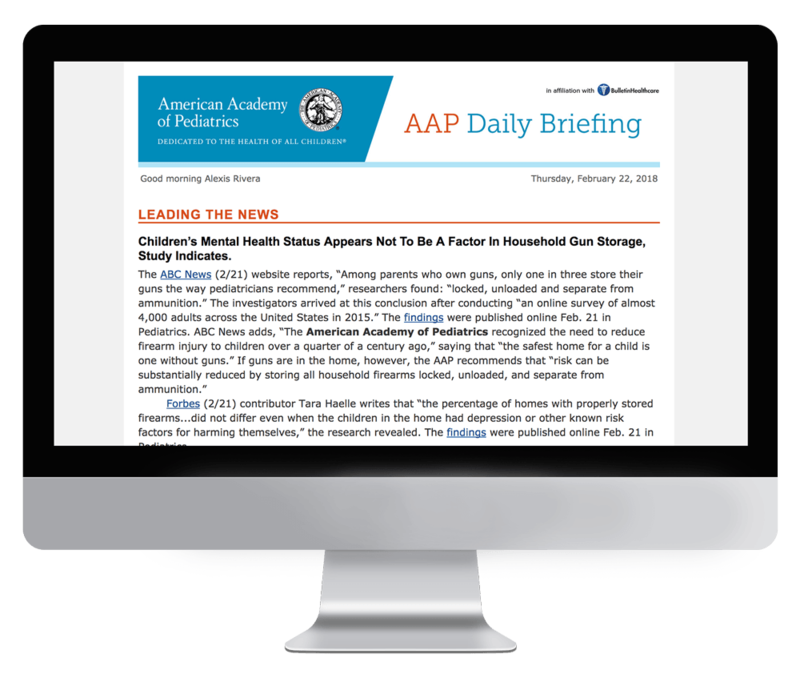 A highly valued member benefit, AAP Daily Briefing is delivered Monday through Friday by 8 a.m. EST. The briefing includes the latest pediatric news, including coverage of Pediatric Practice, Health Policy & Regulation, and Pharmaceutical Updates. The AAP membership represents the vast majority of practicing pediatricians in the United States and is the leading voice in advocating for the health of all children. Subscription to AAP Daily Briefing is exclusively limited to AAP members. If you are a member of AAP and would like to receive this briefing, please reach out to the association directly.